After the death of John Dale in January at the age of 33 Northumbria Squash decided to introduce a Trophy in his name to remember the impact he and his squash had in the county and further a field. The Trophy is to be awarded on a yearly basis to the BEST PERFORMING Northumbrian junior player. Taking into account not only a players achievements/results but how they conduct themselves both on and off the court and in their dedication to sport. 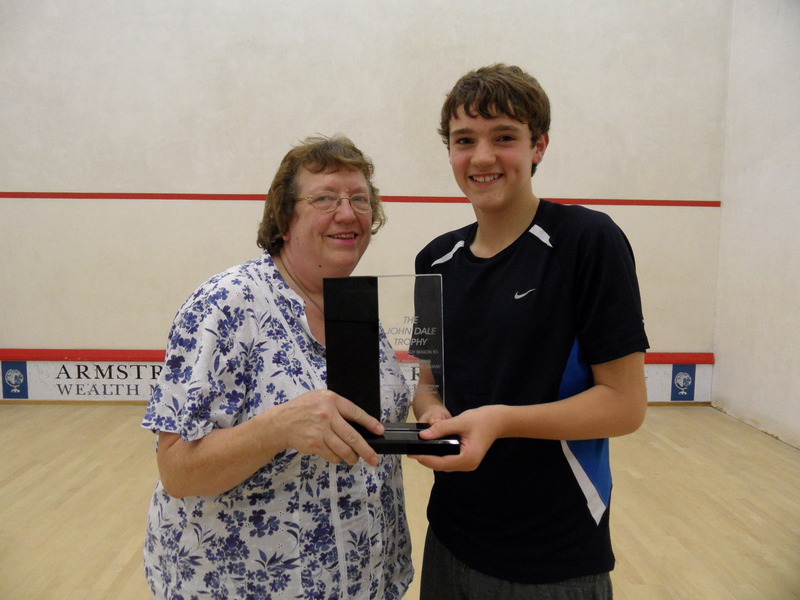 John’s mother Linda came along to the county closed presentation to present the trophy for the first time, the first name on the trophy was Chris Wiggins, Chris has made huge strides with his squash over the last year getting many good results whilst conducting himself perfectly on and off court. Chris plays at both Alnwick and The Northumberland Club and has put in lots of hard work and is a very worthy first winner of the John Dale Trophy.